Grab Your Christmas Balls — It’s the 2013 TuttleMode Holiday Gift Guide! I don’t know how yours does it but, in our family, all the kids get Christmas presents from every adult until they go away to college. That makes for a shopping list so long there are audible gasps when I whip out my notepad in the stores and it also leaves me, who has no children, feeling a bit like Carrie Bradshaw in that episode where her Manolos get stolen at Carrie Fisher’s kid’s party. And don’t act like you don’t know what I’m talking about. You know exactly what I’m talking about. At least the little ones are pretty easy to shop for. A couple of them just want princess stuff, one likes Star Wars, a few are into art supplies and all those things are luckily available in infant through teen sizes. The more difficult part comes when you get to the adults, especially those who will never tell you what they want for Christmas, like my dad, or already have anything they ever wanted, like my grandmother. One has to get pretty creative in these cases because a Home Depot gift card year after year just doesn’t cut it. 1. Scott’s sister Christie gave me a bottle of Acqua di Parma Colonia Intensa Oud for my birthday last month. 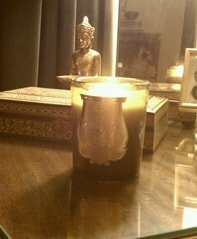 It has an impossible name but an amazing scent that blends citrus notes with intense, exotic agarwood. If you put on too much, you could end up smelling like the Saudi guys who descend on Beverly Hills every summer but a couple of sprays over another fragrance make a perfectly original impression. 2. Also in the fragrance category are the intriguing candles of Cire Trudon. Established in 1643, Trudon supplied candles to Versailles from the reign of Louis XIII through Napoleon and now makes complex and rather bizarre scents that seem very subtle when compared to the more common, stronger scented candles like Voluspa or Votivo. My favorite is the “Spiritus sancti” that recalls layers of incense in a musty Gothic cathedral. 3. 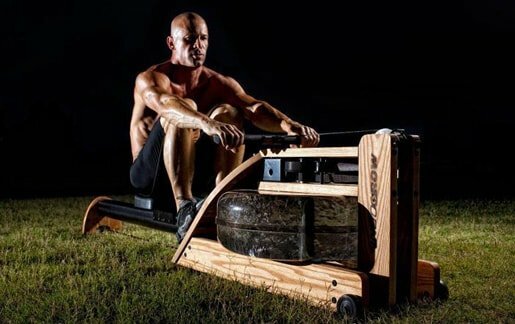 For the fitness buffs on your list, the WaterRower rowing machine is a great choice. It’s sleek and minimalist, and compact enough for an apartment. And it’s made of Appalachian hardwood, which sounds very cool though I don’t know if it makes a difference in the rowing. I rowed a bit in my college days and so never really liked the rowing machines at the gym but the resistance is provided by an actual tank of water in this case, so it mimics more closely the actual feeling of being on the river. They’re pretty affordable, too, from $895 to $1,495 depending on your choice of wood. 4. 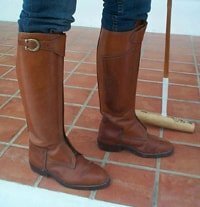 Keeping in the sporting category, I know a lot of guys who get their polo gear from Argentina Polo. The company’s objective is “for you to save money, so you can play more polo” and I can definitely get behind that. Why not get your favorite player a pair of custom polo boots for only $300 plus $85 shipping? It might be tricky to make it a surprise because you’ll need foot and calf measurements, but you could say you’re making a life-sized statue in their honor and your art instructor told you to start from the bottom. 5. 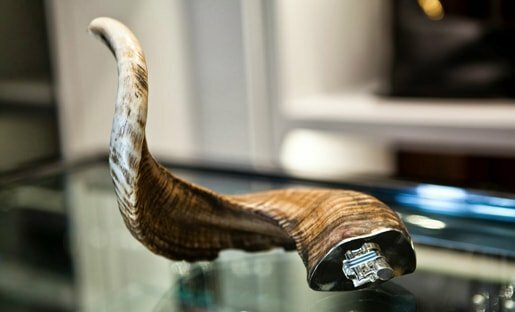 For other unique ideas for the manly men on your list, I called my friend Robert at Tom Ford on Rodeo and he suggested Tom Ford dopp kits, cuff links and the awesome ram’s horn lighter that I’ve always noticed when I’ve stopped in there. Hardly anyone smokes these days but it’s so cool looking, who the hell cares? 6. Just down the Drive at Valentino, my friend Alix recommended a classic calfskin clutch that comes in an array of colors can be personalized with initials on the strap. $1,945 is not mind-blowing for a designer bag but they have adorable bracelets with the signature Valentino studs for around $225 if you’re looking to spend less. 7. While we’re on the subject of luxury accessories, the young design house Valas Los Angeles has launched Phase 3 and gone above and beyond this time. Lady Gaga can’t bear to part with her “Blondie” backpack, it seems. It’s hand crafted of burgundy alligator, anaconda and ostrich, so I can kind of see why. The alligator trunk with 24k gold plated trim is also pretty gorgeous and it has wheels, which makes it more useful than, well, any of my bags. For now, they’ll be available exclusively at Traffic Beverly Center. 9. 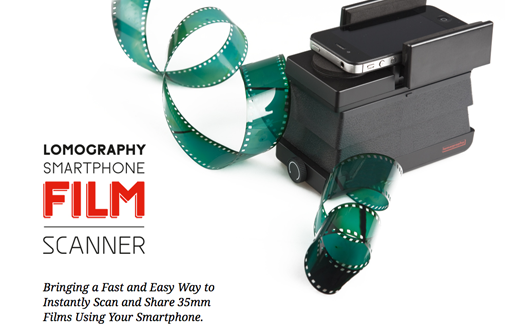 If you have friends who like to make their own art, I just ran across this cool Lomography smartphone film scanner that converts 35mm film strips into digital files right into your phone. It’s like a crazy mash-up of the past and present, like when your friends use “Throwback Thursday” as an excuse to share dorky pictures of you on social media, only less awkward. 10. It’s difficult to buy clothes as gifts unless the intended recipient has told you exactly what they want after they have gone into the store, tried it on, put it on hold and told the salesperson, “When my husband comes in…” This happens a lot, believe me. What I’m trying to say is that I don’t usually suggest guessing but a new brand has just launched that is so damned cool that I’ve even signed on as a “happiness ambassador” to spread the word. All the Live Happy merchandise supports a global movement to embrace happiness and positivity and it’s fun to wear, too. 11. Surprise!! There’s a bonus gift idea that works for anyone that isn’t covered by those other ten and it’ll work for the ones that are covered, too. Anyone wanting to look younger—which is, like, everyone—will absolutely appreciate a gift of this anti-aging product that was featured on a CBS News investigative report last week. Nerium AD Night Treatment can be purchased on it’s own or with the results-boosting Nerium AD Day Cream and they come in awesome Gift Sets for the holidays so you don’t have to wrap a goddamn thing. Well, I hope that helps. If it doesn’t, there’ll always be that Home Depot gift card.